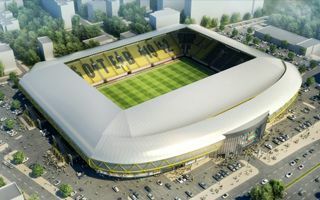 First conceptual renditions of this stadium were presented back in 2012. But with the club not having the 35-year ownership of the ground secured back then (only approved in Feb 2014) and final design being worked on, the progress was symbolic at first. 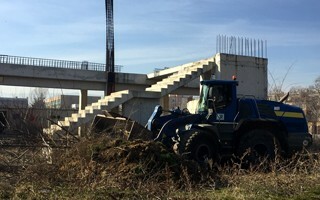 Real demolition of the old stands began in early 2014 as the club presented its final vision of Bulgaria’s best stadium, or so it was called upon presentation. After the late launch construction was announced to be done in April 2015, with opening scheduled for May. 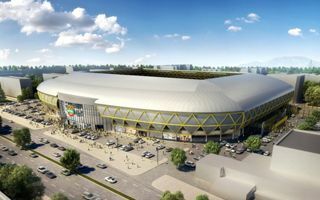 The modified design by local office Vamos includes 75% of the 18,788 seats covered by enclosed roof (initial vision had uncovered corners) with all spectators located on one tier. 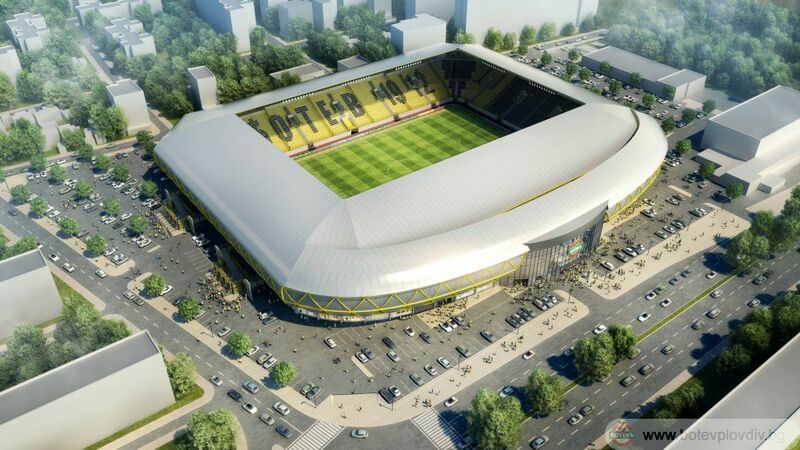 Dominated by yellow and black colours of the club, the stands will have a typical layout: north end will belong to the fanatic fans, signaled by the big number 12 (for ‘12th man’) written with seats. Away fans will have 1,500-1,600 seats in the south. The new stadium will retain only one element of the old one – historical stairs leading to the main grandstand. Even the name will be changed, but this is expected to be preceded by thorough consultation. The project is done thanks to financial involvement of Tsvetan Vassilev, one of Bulgaria’s richest and most influential people. 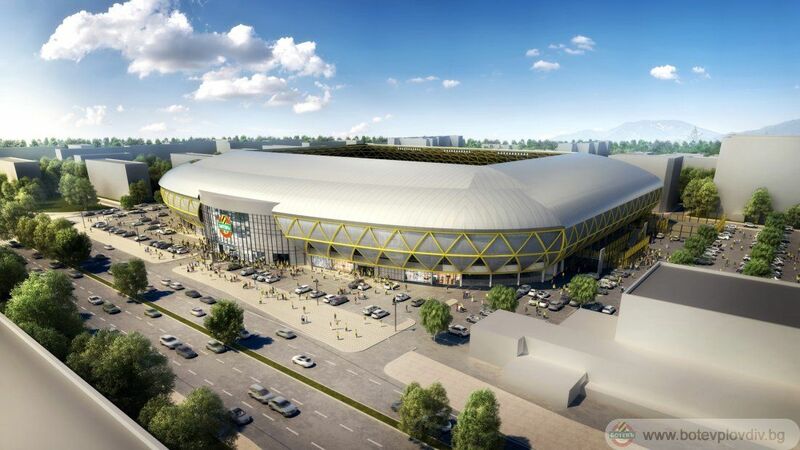 Vassilev also built Botev the country’s best training centre, where the club hopes to stage all games until the new stadium is opened in mid-2015. 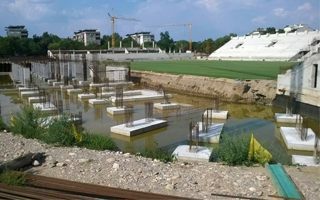 Since 2015 the main thing growing on the site of Hristo Botev Stadium was vegetation. Now, finally, heavy machinery is back and works should restart soon. For now trees and shrubs are being removed. We've already shown you the design, now it's time for construction updates. Thanks to the courtesy of grassroots Botev profile at facebook we'll provide you with regular progress photos from now on. Two top clubs in Bulgaria have been competing for eight decades now. Their stadiums are only 600 meters apart, making it one of the closest derby games. But right now a game of stadiums is being played. And it seems Botev will be on top once more.